I have expressed my views relating to the media in several TV interviews I gave as well as in my articles in some newspapers. However, many people, including media people, wanted clarification and amplification of some of the issues I had raised. Since some controversy appears to have been raised about what I said, a clarification is in order. If one studies the history of Europe from the 16th to the 19th centuries, when the transition from feudalism to modern society was taking place, one realises that this transitional period was full of turbulence, turmoil, wars, revolutions, chaos, social churning, and intellectual ferment. It was only after going through this fire that modern society emerged in Europe. India is presently going through that fire. We are going through a very painful period in our country’s history, which, I guess, will last another 15 to 20 years. I wish this transition would take place painlessly and immediately but unfortunately that is not how history functions. In this transition period, the role of ideas, and therefore of the media, becomes extremely important. At a particular historical juncture, ideas become a material force. For instance, the ideas of liberty, equality and fraternity, and of religious freedom (secularism) became powerful material forces during the Age of Enlightenment in Europe, and particularly during the American and French Revolutions. In the age of transition in Europe, the media (which were only the print media at that time) played a great, historical role in the transformation of feudal Europe to modern Europe. In my opinion, the Indian media too should play a progressive role similar to the one played by the European media [during that age of transition]. This it can do by attacking backward and feudal ideas and practices like casteism, communalism, superstitions, women’s oppression, etc. and propagating modern, rational and scientific ideas, secularism, and tolerance. At one time, a section of our media played a great role in our country. When I criticised the Indian media, and particularly the broadcast media, for not playing such a progressive and socially responsible role, I was furiously attacked by a section of the media for my views. Some even launched a personal attack on me saying that I was an agent of the government. When serious issues are raised about the functioning of the media, it was expected that those issues would be addressed seriously. By criticising the media, I wanted to persuade them to change their manner of functioning — not that I wanted to destroy them. The Indian media have a historical role to play in the age of transition, and I wanted to remind media persons of their historical duty to the nation. Instead of taking my criticism in the correct spirit, a veritable diatribe was launched against me by a section of the media, which painted me as some kind of dictatorial monster. The media should regard me as their well-wisher. I criticised them because I wanted media persons to give up many of their defects and follow the path of honour which the European press was following, and which will give them the respect of the Indian people. I mentioned that 80 per cent of our countrymen are living in horrible poverty; there is massive unemployment, skyrocketing prices, lack of medical care, education, etc. and barbaric social practices like honour killings, dowry deaths, caste oppression, and religious bigotry. Instead of seriously addressing these issues, 90 per cent of the coverage of our media goes to entertainment, for example, the lives of film stars, fashion parades, pop music, disco dancing, cricket, etc, or showing superstitions like astrology. No doubt, the media should provide some entertainment also to the people. But if 90 per cent of their coverage is devoted to entertainment, and only 10 per cent to all the socio-economic issues put together, then the sense of priorities of the media has gone haywire. The real issues before the people are socio-economic, and the media are seeking to divert their attention to the non-issues like film stars, fashion parades, disco, pop, cricket, and so on. It is for this lack of a sense of priorities, and for showing superstitions, that I criticised the media. One should not be afraid of criticism, nor should one resent it. People can criticise me as much as they like, I will not resent it, and maybe I will benefit from it. But similarly the media should not mind if I criticise them. My aim in doing so is to make them better media people. While criticising, however, fairness requires that one should report the words of one’s opponent accurately, without twisting or distorting them. That was the method used by our philosophers. They would first state the views of their opponent, in what was called as the ‘purvapaksha.’ This was done with such accuracy and intellectual honesty that if the opponent were present, he could not have stated his views better. Thereafter it was sought to be refuted. Unfortunately, this practice is often not followed by our media. First, I did not make a statement aboutallmedia people but only of the majority. There are many media people for whom I have great respect. So I wish to clarify here that I did not paint the entire media with the same brush. Second, I did not say that this majority was uneducated or illiterate. This again was a deliberate distortion of what I said. I never used the word ‘uneducated.’ I said that the majority is of a poor intellectual level. A person may have passed B.A. or M.A. but yet may be of a poor intellectual level. I have again and again said in my articles, speeches, and TV interviews that I am not in favour of harsh measures against the media. In a democracy, issues are ordinarily resolved by discussion, persuasion, consultation, and dialogue, and that is the method I prefer, rather than using harsh measures. If a channel or newspaper has done something wrong I would prefer to call the persons responsible and patiently explain to them that what they have done is not proper. I am sure that in 90 per cent or more cases that would be sufficient. I strongly believe that 90 per cent of people who are doing wrong things can be reformed and made good people. It is only in extreme cases, which would only be about five to 10 per cent, that harsh measures would be required, and that too after repeated use of the democratic method has failed and the person proves incorrigible. This statement of mine was again distorted and a false impression created that I wanted to impose emergency in the country. Cartoons were published in some newspapers showing me as some kind of dictator.The truth is that I have always been a strong votary for liberty, and the proof of this is my judgments in the Supreme Court and the High Court in which I have consistently held that judges are guardians of the liberties of the citizens, and they will be failing in their duties if they do not uphold these liberties. However, liberty does not mean licence to do anything one wishes. All freedoms are subject to reasonable restrictions in the public interest, and are coupled with responsibilities. We may now discuss the question of self-regulation. At present, there is no regulatory authority to cover the electronic media. The Press Council of India governs only the print media, and even in cases of violation of journalistic ethics by the latter, the only punishment that can be given is admonition or censure. I have written to the Prime Minister requesting him to initiate legislation to amend the Press Council Act by (1) bringing the electronic media also under the ambit of the Press Council, and (2) giving more teeth to the Press Council. TV news and shows have a large influence on a wide section of our public. Hence in my opinion, TV channels must also be made accountable to the public. If the broadcast media insist on self-regulation, then by the same logic, politicians, bureaucrats, and so on must also be granted the right of self-regulation, instead of being placed under the Lokpal. Or do the broadcast media regard themselves so holy that nobody should regulate them except themselves? In that case, what is paid news, the Radia tapes, etc? Is that the work of saints? My guest this week is the new chairman of the Press Council of India but more importantly a judge who is known to be a liberal lion of the bench. 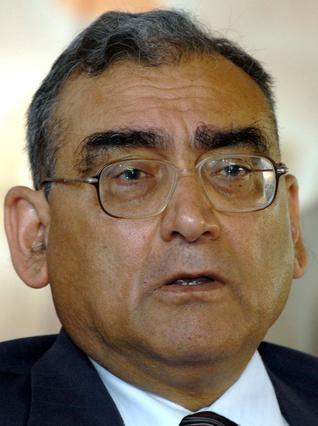 Justice Markandey Katju, you are somebody who combined a lot of native wisdom, literature, history and even Urdu poetry with your approach to justice. Well, I have used Urdu poetry in many of my judgments. I will tell you just one where some OBCs beat up members of the Scheduled Caste and I thought this was highly objectionable, in fact it is a criminal offence. I began that judgment with a couplet from the great Urdu poet Firaq Gorakhpuri—“Har zarre par ek kaifiyat-e-neemshabi hai/ai sake-e-dauran yeh gunahon ki gharee hai.” It represents the transitional age in which we are living, transition from feudal agriculture society to modern society. You gave one of the strongest judgments on honour killings. Yes, I said death sentence must be given. These barbarians must be treated ruthlessly because we must help our society move forward into the modern industrial age and we must not be liberal with these feudal barbarians. We must hang them. What’s your view on death sentence? Do you think it should be employed? Yes, in certain situations. I am not a bloodthirsty person but when people do honour killings or policemen do fake encounters, girls are killed by pouring petrol on them, dowry deaths—should we be liberal with them or should we hang such people? What about Rajiv Gandhi’s conspirators or the Afzal Guru case? Frankly, I have not applied my mind to them. I have given a judgment that death sentence must be given in cases of fake encounters by policemen, in cases of honour killing, dowry death. Recently, I upheld the death sentence of a man who burnt his entire family. Provided you catch the correct culprit. The whole problem is that the police are not trained in scientific investigations, so on mere suspicion they bring in somebody. The point is that they cannot catch the real culprits so whomever they think may have committed the crime, they catch hold of them. In a village if somebody comes to the police station and says that there has been a dacoity, the inspector asks who has committed it? Somebody says Kallu has committed such kinds of dacoity. So they will catch hold of Kallu and the poor child is beaten and under torture, he will confess to everything. Joan of Arc confessed to being a witch under torture. The crime is solved this way and the inspector’s job remains intact otherwise he might have been suspended. I don’t blame the police because they are not trained in scientific investigation, they are not given the equipment as in the West. All this is absent in India so it is done just by suspicion. Some bomb blast takes place, they catch hold of the local Muslims and young people and implicate them. The electronic media has played a very nefarious role in this. The moment a blast takes place, within a few hours of it, most TV channels start saying that an e-mail has come or an SMS has been received that the Indian Mujahideen has claimed responsibility or Jaish-e-Mohammad has claimed responsibility. An e-mail or an SMS can be sent by any mischievous person but in a very subtle way the impression goes that all Muslims are terrorists, all of them throw bombs. You are demonising Muslims and you know the level of alienation that has been created among them. Do you have any views on Prashant Bhushan’s view (on Kashmir) or on how he was attacked for his views? I condemn all kinds of violence but this must also be considered…if you say that Kashmir can secede, then the Nagas will say they can secede, Mizos will say they want to secede, Tamilians will say they want to secede. Where is the end? You know this is a country of immigrants. 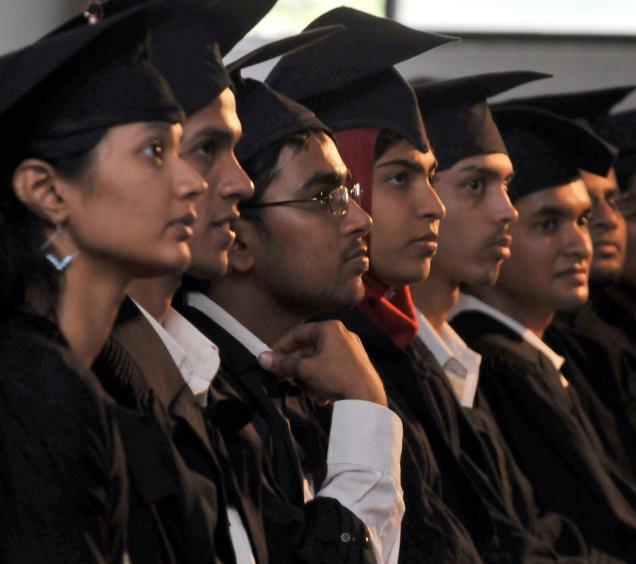 You must realise what is India—92-93 per cent of people living in India today are descendants of immigrants. We are like North America and because we are a country of immigrants, there is tremendous diversity and therefore we must be tolerant with each other and respect each other. At the same time, we must be united. Did Abraham Lincoln allow the southern states of USA to secede? They said that we have formed a Confederate States of America…separate government. Abraham Lincoln said you will not be allowed to secede. He went to war. There is so much diversity in India, if you allow Kashmir to secede, then everyone will talk of seceding. We must remain together, you must understand what is India. Yes, there should be democratic ways of resolving disputes. A case came before me, a dispute between the state of Assam and the state of Nagaland. The border had not been demarcated so we appointed mediators. We appointed Sriram Panchu, one of the top mediators of the country, and Niranjan Bhatt, also a top mediator. You know, the Nagas said that for the first time they were being heard. They said the British never heard us, the Indian government never heard us and at least here are people who are appointed by the Supreme Court who are hearing our point of view and hopefully some consensus may emerge. So you think that while conflict resolution should go on, it should not be pushed into the domain of re-writing of the Constitution? No, we have to remain united. I don’t agree with the saying that you can secede. So was he (Prashant Bhushan) wrong in saying that? But at the same time the attack on him was wrong. The attack was wrong, you should not commit acts of violence. Lately, we are seeing judges getting angry in the Supreme Court. In fact, they use the expression ‘we are getting angry’. You know, the one who wields the big stick must speak softly. When I became a judge of the High Court in 1991, I started reading the Mahabharata and one part of the Mahabharata is called Shanti Parva. When the war ended, Bhishmah Pitamah was lying on a bed of arrows and Lord Krishna went to Yudhishthira and said, ‘Now the Kauravas have been killed and you are going to be the next king. On how to conduct yourself as a king, Bhishmah Pitamah is the best person to tell you and he is shortly going to give up his life. So this is the opportune time, go and ask him’. So Yudhishthira went and sat at his feet, he put one question, Bhishmah Pitamah gave the answer, a second question, an answer. So, the questions-answers are part of a volume called Shanti Parva and in that, one of the things Bhishmah Pitamah said was that the king should neither be too harsh nor too lenient, he should be a mixture of the two. Sometimes you have to be harsh against evil people, but sometimes you should be soft. If you are always soft, people will revolt against you and if you are always harsh, the public will run away so it has to be a combination of the two. When I read this, I thought this is what applies to a judge too. But the anger that we are generally seeing is more of what the executive now complains about—obiter dicta. I don’t want to comment about other judges but I became a judge in the Supreme Court in 2006 and shortly after, I gave a judgment in which I said that the judges must know their limits and not behave like emperors. They must not try to run the government; judges must not ordinarily encroach into the domain of the legislature or the executive. Judges must know their limits, they must be restrained, particularly in economic and social matters. When it comes to civil liberties and fundamental rights, then a judge must be an activist. What worries you more—judicial overreach or media overreach? There should not be any overreach. Both must act in a very restrained manner. I have great respect for the media. In my opinion, the media is absolutely essential in a democracy. What’s worrying you about the media right now? There is a perception that it is going overboard. To give you an example, in 2009, when the Lok Sabha elections were held, this paid news scandal took place on a very large scale. Just three days ago, a senior lady politician told me she was contesting elections and that one leading newspaper came and demanded Rs 18 lakh for favourable coverage and (said) that if you don’t give it, then (you’ll get) adverse coverage. Tell us a bit more about your danda remark, which obviously has raised people’s hackles. The last thing we expect in your hands vis-a-vis the media is a danda. I am a totally democratic person. I believe in the method of discussion, consultation, persuasion. If the media has done something wrong, the first attempt should be to resolve the matter in a democratic method and in that connection every two months or so, I am going to hold meetings with all of you. Let’s resolve all the issues by the democratic method. If, despite our best efforts, you prove to be incorrigible, then the danda will be used. I will keep it in reserve. Bin bhaye hovat na preet (without fear there is no love). Have you read the Ramcharitmanas? Bhaye aapke upar hona zaroori hai (you should have fear). Don’t think you can do anything you like. You are accountable. In a democracy, all institutions, including the media, are servants of the people. But there is danger in it. Today you are a liberal judge, tomorrow under a more problematic government, there might be a more problematic head of the Press Council. If these powers are given, they can be misused. There is never a 100 per cent guarantee. Are you very exercised about media excess? Yes, very much. I will give you one example—the judge of a High Court where I was chief justice was known to be a very upright young man. On two consecutive days, a TV channel showed his picture like a criminal, next to the picture of a notorious criminal, and the allegation was that he had grabbed some land. I made a personal and thorough inquiry and it was all false. Now see how demoralising it is. But the laws that are available, the law of libel, we know it takes a long time, but isn’t it a better way forward to strengthen the law of libel, decriminalise it and like the British law, make the civil law stronger? All this is really unnecessary, we will hold discussions. I am asking you a much larger question: do you believe that the law of libel should be decriminalised or not? I have not really considered it. I don’t intend to consider it for it’s unnecessary. I am a democratic person. I would like to sit with all of you, not only print media but the electronic media too, discuss the issues. Suppose people are criticising some issues, I will bring it to your notice. We should be respected by the people. The media must get the respect of the people. We are accountable. I am accountable to the people. You think as chairman of the Press Council, I can do anything I like? I am also a servant of the people, you too are. We should be proud to be servants of the people. So we will resolve matters by democratic methods, discussions, negotiations, but as I told you, I will keep the danda in reserve. Have you had some difficult brushes with the media? I respect the media. The media has played a historical role in the progress of mankind but you should continue doing it, you must serve the people. Yeh nahi ki bas aap apne malik ko serve karein, aapko junta ko bhi serve karna hai (you shouldn’t serve just your bosses, you have to serve the people too). I have nothing against the corporates, there is nothing wrong in making money but you must be socially responsible too. All I can say is that we are much happier to have you as a guardian of the media than a danda wielder from the government side. You must understand that the Press Council is an independent body, we are not subordinate to the government, it’s a statutory body. But its role has been whittled down greatly by, if I may be honest with you, some very political chairman. I will not comment on any of my predecessors but as far as I am concerned, I am a servant of the people and that is the only title I want. We started this with a Urdu couplet that was in a different context. Will you give us one as a parting message to your new charge, which is Indian journalism? I have used so many couplets. There is one couplet which I wrote in a judgment and somebody came from Lahore and said that lawyers there are quoting it. It is right in the beginning of the judgment, it is a couplet by Faiz Ahmed Faiz whose centenary we are celebrating this year. Baney hain ahel-e-hawas muddai bhi, munsif bhi/kise wakil karen, kise munsifi chahen. It means that selfish people have become the plaintiff and the judge. Kise wakil karen, kise munsifi chahen: whom should we make a lawyer, whom should we go to for justice? And you think that applies to the media a little bit right now? It’s a couplet written by Faiz at the time of martial law. But is it a caution to the media? It’s a caution to everybody, not just to the media. It’s caution to judges, caution to bureaucrats. We are all servants of the people, we all have to behave in that manner. On that cautionary note, may we have many more such conversations and not many admonitions. But as I said, you are such a liberaliser, that we feel completely safe with you. 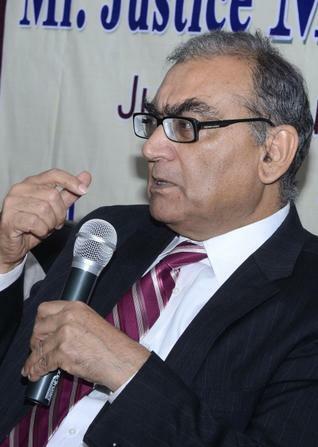 My guest this week is one of Indian judiciary’s most important shining lights, Justice P N Bhagwati. It tells you about the creative energy in his mind that even now, when he is about to turn 90 very soon, he is working on two books, including his memoir. The judiciary is in news these days. The government complains about the Supreme Court’s obiter dicta, we also editorially complain about it. It seems somehow that the tension between the executive and the judiciary has become too much. Well, that can’t be helped. 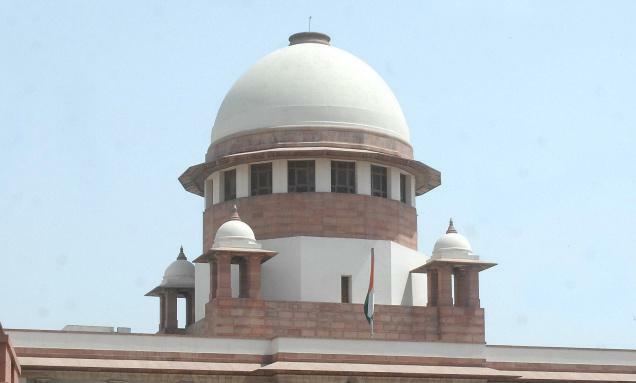 Even in normal times there is bound to be some tension between the judiciary and the executive, particularly because the judiciary is entrusted with the task of enforcing the Constitution and it has got to enforce the fundamental rights of citizens and these fundamental rights sometimes come into conflict with what the government desires to do. But that is a conflict that can be resolved by the judiciary and whatever the judiciary decides as a matter of law and the Constitution should be accepted by the executive. Then there will be no tension. But do you think that sometimes the executive doesn’t accept it? Yes, in the last few years there have been occasions when the executive has not accepted decisions of the judiciary. Sir, two recent judgments. I don’t know if you have followed them. The Salwa Judum judgment and the black money judgment in which the government felt, and many of us also felt, that the bench had exceeded the constitutional limits. In both cases there are appeals now for review. Appeals are there, the Supreme Court will have to dispose of those appeals according to law. But very often, judges forget, lawyers also forget, that law is not an abstraction. Law is something which has been moulded and developed by the courts, by the judges. Law is ultimately what the judges make it, and therefore the judges must have a social perspective. They must be anxious to see that human rights become meaningful for the large masses of people in the country. They should not feel worried about the executive or I would say even about what people say. Their function should only be to enforce the basic human rights that are embodied in our Constitution. In your own career as a judge, did you feel pressure from the executive and how did you deal with it? No, I never felt any pressure from the executive. I delivered several judgments, many of them against the government, but not once did I feel that the executive felt offended. It’s possible that they didn’t like my judgments but they never showed any anger. You were a judge when the executive was much powerful than it is now. Mrs Gandhi’s executive was very powerful. But the judiciary of my time was equally powerful. Let me tell you that there was never a single occasion when the judiciary and my leadership felt thwarted by the executive or by Mrs Gandhi. But look at the praise that you wrote for Mrs Gandhi. Most judges today would be embarrassed to write such a flowery prose about a prime minister. I wrote about her because she fully deserved what I said. She had given this country a united India. Let us not forget the fact. But somebody who rose to become Chief Justice of India, was it correct for you to write praise for her? It didn’t compromise you? Publicly, no. But the CJI writing to the PM or the PM writing to the CJI privately was not wrong. But today it would be out in the RTI and published. It should not be published. It does a lot of harm. So are you then saying that these correspondences should not be exposed to RTI? It should not have been exposed to RTI. Basically what I wrote and what she wrote to me, I don’t remember now, was in the strictest confidence. But does it pass the test of propriety for the Chief Justice of India to write praise in such flowery prose to the PM and expect it to be kept confidential? No. I entirely agree with you it was wrong on my part. You agree with that. But you got carried away? Why did you write that? I was carried away by the result that was achieved. Because I always believed that the welfare of the people was the ultimate goal, both of the judiciary and the executive, and anything which tends to further that goal or improve the condition of the people is something that deserves praise. You did not write in anticipation of any benefits or rewards? In my life, I have never anticipated anything. But I always believed that my duty is to serve my people. I was in the freedom struggle. I went to jail in 1942. I have always fought for the rights of the people and you look at my judgments. You started the PILs. You used the postcard and treated it as PIL. Tell us the story of the postcard. When I became a judge in the Supreme Court, I went round the country and when I visited various villages and towns, people gathered around me because they were interested in seeing a Supreme Court judge. I used to talk to them and I realised for the first time how important a judge’s function was. When people came, many of them were in tatters, many of them had sunken bellies. I realised that my justice was not reaching them. My justice, which I was administering, was meant for the few who could afford lawyers, litigation, court fee. That brought a change in my heart, my attitude. And then I started getting postcards, I started treating them as writ petitions. And ultimately I developed the whole theory of public interest litigations. That’s your great positive contribution, but let me take you back to your regret and to the letter to Mrs Gandhi. When did you first feel that it was wrong to have written it? Soon thereafter, I would say. I realised that I should not have treated that letter the way I did. Perhaps I exceeded my jurisdiction. In the praise that you wrote for her? No, not that the praise was ill informed but as a judge, as the chief justice, I shouldn’t have written it. If you had written this, then you had wished it had not become public? Definitely. It was not meant to be public. What harm does it do if it becomes public, as it became public? Well, perhaps to an extent people might feel that I’m pro-government. But very soon the impression that I am pro-government was dispelled. But apart from that letter to Mrs Gandhi, one thing that rankles is your habeas corpus judgment, the ADM Jabalpur case, when you ruled with the majority of the judges to say the government could take away the right to life of a citizen. Still looking back, legally we were right, the majority was right. But if I were sitting alone and I would have an opportunity to say it again, I would have taken a different view though that different view would not have been consistent with the words of the Constitution. As you said earlier, law is not an abstraction. And law is what the judges make it out to be. Did you, as a judge, fail to make the right interpretation, or the right use of that law? I’ve always admitted that. As a bold judge, as an imaginative judge, as a judge working for the people, I should not have taken that view. Many of your critics say you cannot just express regret because that judgment did or could have done damage to the liberty of Indian citizens. But I don’t see how could it have done damage because I think the amendment was made and in fact two years later or so, a similar case came before me and I took a different view. I said in the judgment that the view I had taken was wrong and I changed my view. One judge disagreed and that was Justice H R Khanna. At that point did you think he was wrong? At that point, perhaps I must have thought so. Did you have any conversation with him on this? No, he didn’t discuss with me. Soon after, he resigned because he was superseded. That is the whole point. It becomes obvious to join the dots. All the judges who favoured the judgment, the judgment that Mrs Gandhi wanted, rose to become chief justices. The only one who did not was Justice Khanna. But I became chief justice much, much later. But the fact is that everyone on that bench, except Justice Khanna, rose to be CJI. That’s because of seniority. Purely because of seniority. And Khanna should not have been superseded. But Mrs Gandhi superseded him. It was wrong on the part of Mrs Gandhi not to appoint Justice Khanna as CJI according to seniority. 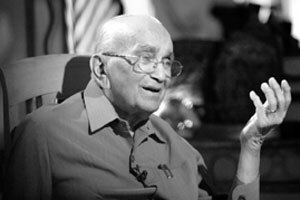 What would you have told Justice Khanna if you had met him now? I would have said it was very brave of you to give the dissenting judgment. The ’70s saw the habeas corpus judgment and then you had the Kesavananda Bharati judgment that protected our freedom forever. It was the most important five years, I would say, in the evolution of India’s constitutional history. Do you think the period we are seeing now is a period comparable to that? There is the Jan Lokpal movement, there is a demand for a Judicial Accountability Bill. You were a party to setting up the collegium system and now the executive and Parliament are both going after it saying the system is not right. Judges are giving judgments that are setting up monitoring committees on everything. If you are talking about appointment of judges, I have publicly said that appointment of judges should not be left entirely in the hands of the executive, nor should be left entirely in the hands of the CJI. …which is the case now. Now it is a collegium. Now only the judiciary does it. Collegium is alright but collegium should be run with some principles to guide it. The old system under which I worked was much better. The CJI made a recommendation after consulting some of the senior judges. Then the government, the law minister would discuss the matter with the CJI, and then we would make the appointment. Look at the earlier appointments, most of them were very good. But right now, the problem is that there are so many vacancies in the courts. Allahabad High Court has 100 vacancies. No vacancy in the High Court or the Supreme Court should be allowed to remain unfilled for a long time. Judges have assumed to themselves the power to make appointments, which is a wrong thing. In my opinion, the Constitution has been wrongly interpreted. So it can’t just remain a fully in-house job? No, it can’t. If you make the first five judges decide, then sometimes it is possible—I don’t want to make any allegations—that there may be give-and-take among the judges. You have my man, I will have your man. Therefore, I have always maintained and publicly said that appointments should be in the hands of CJI and the law minister. Do you think the judiciary is under a bit of siege? One, it has resisted reform, it took such a public outcry for them to even declare their assets, RTI and now appointments. Then they are delving into areas of governance, setting up special investigating teams and monitoring them, asking the director of RAW to report to them on black money. One feels sad that judiciary should come to this pass. Why? If you could elaborate. During my time, the judiciary enjoyed the highest respect. Do you think that respect is threatened right now? That respect has slightly gone down. There are a few judges who still enjoy that respect, I am told. But I can’t say about all judges today. Why the judiciary is under pressure is because the Lokpal people are saying bring the judges under Lokpal, government is saying there should be a Judicial Accountability Bill. I’m against bringing judges under the Lokpal because public pressure will mount unnecessarily. It will affect the independence of the judges. But judges should have their own separate body. With some involvement of the executive or no involvement of the executive? No involvement of the executive. Why don’t we have a retired chief justice of India, a sitting chief justice, one or two senior sitting judges, attorney general and one leading member of the Bar? Did you ever discuss this with your very famous contemporary Shanti Bhushan? I’ve met him occasionally, but have not discussed these issues with him. What is his view? He wants the judiciary to be brought under the Lokpal. No, it is dangerous to have the judiciary under the Lokpal. Because the Lokpal ultimately is a person who is moved by public sentiment. I don’t want that. Let there be a separate Lokpal, if you like, for the judiciary. That is the best thing. I have already made this recommendation of mine in writing. What is your advice to today’s judges? Judges should retain their peace of mind because after all they have got to present an image that people will respect. If we show anger unnecessarily then people will feel that we are just like ordinary people. We have to show our stature is above that. So do you object to obiter dicta? No, but they should be well placed. Obiter dicta must be called for. Do you remember any moment from the times of the bench when you used obiter dicta and well? I must have sometimes, but I can’t recall now after this length of time. I think one wonderful thing you have done is to keep yourself busy. Your thoughts are always valuable and now you are putting them down in a book. We will all wait for your books to come out. My guest today is one of our great judges and if I may say so, in today’s context, the greatest friend of Indian sports ever in our judiciary, Justice Mukul Mudgal. Now, of course, you have the tough task of finding out what exactly happened with the sportswomen we love so much. I have always loved sports. It started in school. I was in the water polo team of Modern School, Barakhamba Road, and in college and Delhi University. I was a keen follower of cricket. I have watched Test matches in Delhi in the lowest stands for Rs 2 a day. And watched an entire West Indies match standing up because by the time I reached, the stands were completely full. Many people of this generation don’t know that in 1989, almost 22 years ago, you stood for the eight cricketers who were banned. That is true. I read about this unfair ban being imposed on the cricketers. I filed a writ petition challenging the ban. Fortunately, the Chief Justice of India then was very pro-cricket, he was a member of the Karnataka Cricket Association, Justice Venkataramaiah. He took it upon himself. You also fought for Chandrashekhar, the table tennis player. So lawyers also have a heart when it comes to sports. They have a heart otherwise too, but it doesn’t always show. You were always a lawyer and a judge who had a heart when it came to sports. I am very proud of it. Sports is a wonderful thing, a character builder and I think a good sportsman makes a good human being. I was proud as an Indian that our girls could attain so much. Remember, a girl has to fight twice as much as a boy. There are many discriminations, there are many family hurdles and I felt very proud. Is there a possibility still that it could have been inadvertent? Possibility cannot be ruled out. In fact, they have asserted so. Whether it is a sham or there is a cover-up, we will have to go into it. Do you think it will make their medals at the Commonwealth Games and Asian Games suspect? It could. I am not sure because I believe that till April, they had tested clean in all tests. And at these tournaments too, they must have been tested? Yes, they were tested. These are high-level athletes who are on the WADA list. They can be tested any time. So they have been tested regularly by neutral bodies and they have been found clean till April. But does it wrench your heart to do this? It does pain me. Supposing I find them guilty—I am not there to find them guilty, I am only holding an inquiry, that NADA will do—but if they are guilty of a deliberate violation, the minimum ban is two years. Two years can pretty much finish their skill. They are all in their prime and are raring to go to London for the Olympics. I don’t know what will be the fate of that. Could something else have been done by the associations or by the Sports Authority of India to make sure that this did not happen, one way or the other? The common grouse is that there aren’t enough supplements. And if that grouse is correct, I don’t think that top athletes should buy supplements from the market. They should get them from the Sports Authority. That is one of the longer-term measures I am looking at…whether athletes are compelled to buy from the market. And the Sports Authority of India should get them routinely checked, in any case. You must be approaching this with greater enthusiasm than you have approached any case so far. I would like to devote all my energies to it, as much as I can. I think it is my public duty as a former judge and as a current sports lover to do it and do it fairly. You have been a crusader, not just for Indian sports, but many other things. We remember you better as a judge, the many orders you have given—khap panchayat case in Punjab and Haryana High Court, Hisar riots, orders you have given in the Delhi High Court, several of them…People also forget the Vishakha case, the Sunil Batra case. In the Vishakha case, the Supreme Court set the law for sexual harassment at work place. That was a very interesting case. There I was appearing for the government and on the other side was Meenakshi Arora, who was fighting for the woman’s cause. We sat down together, drafted out guidelines. And the government’s role has to be lauded in that they fully agreed to all the guidelines. So I think in that case, it was a very positive role played by the government. That is one of the stellar examples of the Supreme Court setting new legal framework and of the executive and the judiciary working together. Yes, very much. There is nothing better than when they both work together and things are positive and lasting as you can see. The Vishakha judgment has had this effect. I am not saying sexual harassment is totally gone, but it has reduced drastically. Tell us about the Sunil Batra case that started the whole tradition of PILs. These days people say this country is run by PILs. This Sunil Batra was convicted in a bank van robbery case on Minto Road. It was in the early 80s and when he was convicted, he was put in solitary confinement. 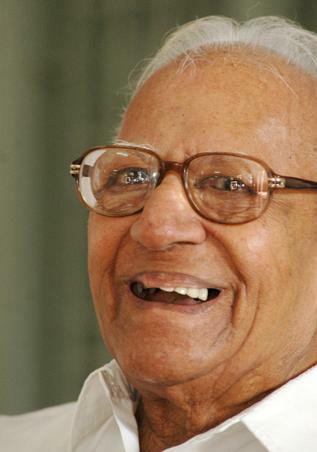 He wrote a post card to Justice Krishna Iyer saying that this incarceration in solitary confinement is cruel and inhuman and unconstitutional…even if I am on death row. The Supreme Court appointed eminent lawyer Y S Chitale and me as amicus curiae. We visited the jail, saw the conditions and then prepared a proper formal writ petition and filed it. That led to a constitution bench judgment and Sunil Batra won. It was a landmark judgment that lay down the rights of the prisoner and that has gone a long way. Yes, it started because newspapers also used to highlight this. But soon the system also started getting abused. People used this as a form of shopping, to choose a judge. That led to formulation of rules by the Supreme Court. You used the expression ‘shopping’, but many of us heard this only when Kapil Sibal recently accused somebody of forum shopping and we were wondering what that was. ‘Forum shopping’ is when you choose your judge. That judge may not be hearing that subject matter but would try to manoeuver things in such a manner. What a chief justice does is he delegates every subject to a particular judge. So all cases on that subject go to that bench to ensure there is objectivity. One more disclosure. Many of us philistines learned to learned to appreciate classical music in your home over these decades. Well, that is the accident of birth. I was born in a family of renowned musicians. Everybody in my family is a musician, except me. Even my son is a rock singer. So as somebody who wrote the first notes in this PIL saga, do you sometimes think it has gone too far or it is going too far? The court may at times oversee as in the 2G case. If the court had not been overseeing it, the case would not have moved. Yes, it is called Continuing Mandamus style, which means that the case keeps on getting listed before the court. Cleansing of Yamuna, cleansing of Ganga, these cases are never going to end, they may come up again, the court may give directions. But these are welcome things. I think these ought to be continued because environment cleansing is such a mammoth task, it is not going to get over very soon. And even if this ends, new challenges will come. New challenges will come. PIL will evolve further. And it also takes the shape of the chief justice of the day, he has a large role to play, he sets the character of the court, he sets the ethos of the court and depending on who the chief justice is, you will see the shift in PILs. Where do you see it being overdone now? Well, I would like to give an example of the CNG case. I was there myself as a counsel, assisting the court as an amicus. The court said CNG is a must. In my view, the court should have said the standards of pollution are thus set up in the Air Pollution Act and any medium of fuel which meets that pollution level is fine. The court should not determine what that fuel is, the court should determine what the level of pollution prescribed in the Act by Parliament is. And unless there is something glaring, Parliament is the ultimate judge of what the law should be. The Supreme Court is the ultimate judge of what the law means. And that has to be maintained. So you think enforcing a fuel was overreach? I’ll give you another example. Today three diesel cars pollute as much as a diesel bus and every year, an equivalent of the current fleet of 10,000 buses, that is, 30,000 diesel cars join Delhi roads and therefore the insistence on CNG is meaningless, it has become a tokenism…You have to stop pollution, you do not have to stop diesel buses or petrol buses and you do not have to stop buses per se, which are mass rapid transport. In the current debate, we have had a couple of strong remarks and judgments from the Supreme Court. We have just had, as we speak, a red-hot judgment, saying that only the rich have the golden key to the doors of justice and so, the court has to weigh in on the side of the poor. Should we agree with it? I won’t say only the rich have the key, but the poor certainly have a huge disadvantage when it comes to facing the odds in the court. That is where a strong judge comes into being. A strong judge and a good judge would even the scales of justice by appointing a good lawyer. Believe me, at least in the Supreme Court where I practised, good lawyers never refuse the brief of a poor man if the court asks. The best work in the Supreme Court has come because of the amicus curiae who have done the work totally free, who do not charge any expenses. So how do you look at the tension that has arisen today? The executive is saying we should have a stronger Judicial Accountability Bill, the Prime Minister has spoken, Kapil Sibal has spoken, everybody is speaking. There is tension now. Justice Verma has said judicial activism should be used like a surgeon’s scalpel, not as Rampuri knives. I think the truth is somewhere in between. Without judicial intervention, who would have looked at bonded labourers, construction workers? That is where PILs have benefited a huge amount of people. But is what you see today healthy or has it gone a bit overboard? I don’t think it is unhealthy. The tension between the executive and the judiciary is the hallmark of a good democracy. It is a very healthy thing. It should not become hostility. The executive has a right to complain of judicial overreach and the judiciary has a right of complaining about over-dependence on the executive. I would like to give you an example of financial autonomy. When you can trust the Chief Justice of India with the entire judicial system or the Chief Justice of a High Court with the entire judicial system, then what is the difficulty in giving him financial autonomy? You give a particular amount of grant and then it is up to him to regulate…Today every time something is to be bought, sanction is to be sought and this affects judicial autonomy. You have seen the picture from all sides—as a lawyer, a judge and, if I may say so, as an activist, as a sports enthusiast. What are the two or three things you would want done that would one, make the judiciary a lot more effective, take away all its flaws; and second, to prevent this tension from going too far? When you think about the judiciary and what ails it, the primary allegation made against the judiciary is arrears, that a case takes a long time. I would like you to consider three or four things. One, the judge strength of India is one of the lowest in the world per population, it is lower than in some African countries. And second, the workload of a judge. An average high court judge takes up 50 matters a day when a judge from western European countries or in the US is handling one case a day. So you want many more judges? Many more judges, better infrastructure, financial autonomy. I am not saying we don’t have laggards, we have. In fact, these are the ones who pull us down. The other thing as far as judicial independence is concerned, I would like to say that I would strongly favour the proposal of making the age of the retirement of the high court and Supreme Court judges same. Also, seniority should not be the sole criteria, the merit of the judge, the judgments delivered by him, the quality of the judgment should be also looked at. But you still think the collegium system is still the best? Can I say you are a victim of some? No, I wouldn’t say that. I think the collegium system, if it is manned by proper judges, is a good system. But appointments should be time-bound. From the time the name is proposed till the time the appointment is made should not be more than about three months. The minute a name goes, 1,000 complaints start coming and you start investigating all of them. Most of them, if not all, are frivolous. One reason you sound so cool about your so-called retirement is because you have now got something that is really close to your heart, solving a problem for Indian sports. Oh, yes. I thoroughly enjoy that. I am also advising on public health issues, I am with cultural trusts, cultural education institutes and I will always be available to them free of charge. And you will now be Mr Sherlock Holmes in Patiala. Well, I don’t have a Watson, that is all. It is an intriguing subject. All I can say is that your face really lights up when we talk sports. Mukul, keep that interest and you know, whatever may have got these girls into this mess, they couldn’t have found a better judge, lawyer or prosecutor. 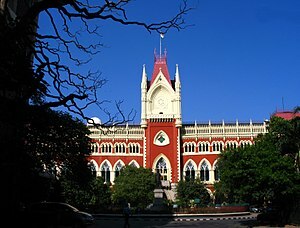 Sir Barnes Peacock was the first Chief Justice of the Calcutta High Court in 1862. Subsequently, Justice Shri Sumboo Nath Pandit was appointed as the first Indian to assume office of the High Court on 2nd February, 1863. He was followed by other legal luminaries such as Justice Shri Dwarka Nath Mitter, Justice Shri Ramesh Chandra Mitter, Justice Sir Chunder Madhab Ghosh, Justice Sir Gooroodas Banerji, Justice Sir Ashutosh Mookerjee. Justice Shri P.B. Chakravartti was the first Indian to become a permanent Chief Justice of the Calcutta High Court.